Black Panther is off to a very strong start, as the movie has already set a Marvel Cinematic Universe record more than a month before the movie even arrives in theaters. According to Fandango, Black Panther is now the top-selling MCU movie, in terms of ticket pre-sales in the first 24 hours. The previous record holder was Captain America: Civil War, which bodes very well for T'Challa's first solo outing at the box office. Captain America: Civil War opened to an incredibly impressive $179 million when it arrived in May of 2016. As it happens, that movie also served as Chadwick Boseman's debut as Black Panther in the MCU. Even though Black Panther is currently outpacing Civil War in terms of pre-sales, the movie still isn't expected to open quite that high. Here's what Fandango Editor Erik Davis had to say about the high ticket sales for the upcoming MCU movie. "'Black Panther' is riding an incredible wave of momentum right now. It's one of the biggest and most anticipated movies to ever open in the month of February, and its trailers have electrified the internet. Tickets have been going fast ever since pre-sales started on Fandango late Monday." No official box office tracking has been released for Black Panther yet, but current estimates have the movie bringing in around $85 million on opening weekend when the movie arrives on February 16. Deadpool currently holds the February record with $132.4 million. If Black Panther gets anywhere near Captain America: Civil War, it will be able to take that record. Fandango also recently surveyed more than 8 thousand moviegoers and found that Black Panther is one of the most highly-anticipated movies of the year, trailing only Avengers: Infinity War. Long story short, it looks like it's going to be another great year for Marvel. No reviews have made their way online for Black Panther yet, but the movie is already being praised for its diversity and Marvel seems very confident in what they have. Not only do they have a stellar cast that includes Michael B. Jordan, Angela Bassett, Andy Serkis and Forest Whitaker, but they also have Creed director Ryan Coogler behind the camera. Speaking of Ryan Coogler, Fandango has also released a brief new Black Panther behind-the-scenes featurette, which features the director, as well as stars Chadwick Boseman and Danny Gurira talking about the movie, as well as some choice bits of new footage. With the demand being so high, if you want to check out Black Panther on opening weekend, you'd be wise to grab your tickets now. While you still can. 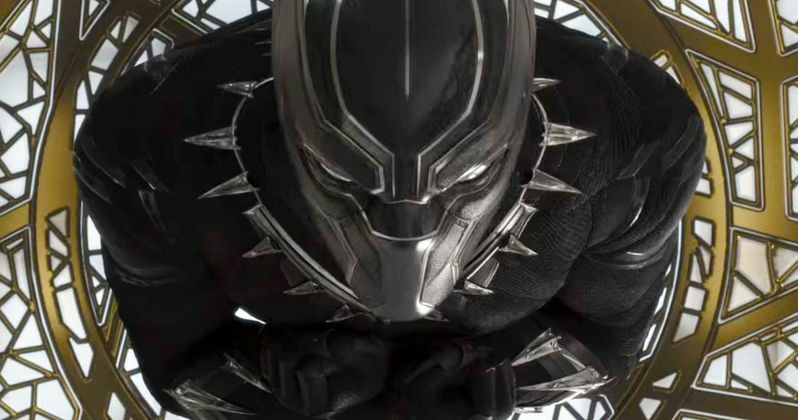 While you wait for the movie to arrive in theaters, be sure to check out the new Black Panther featurette, courtesy of the Fandango Twitter account, for yourself below.